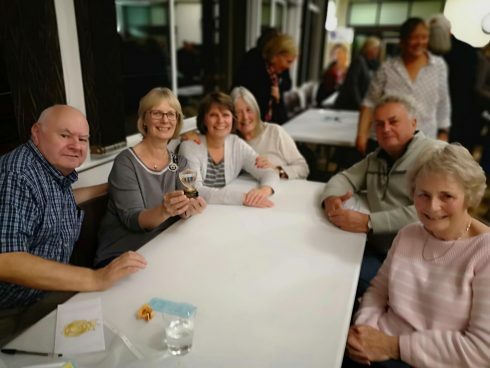 On Thursday 27 September, 16 teams competed to become quiz champions at the Care for Veterans autumn quiz night, and helped to raise £1,510 for the charity. Care for Veterans’ Head of Fundraising and Marketing, Elizabeth Baxter acted as quizmaster. They led the teams through eight interactive rounds of questions, which included pictures and sound clips. The winning team was ‘The Mullets’, led by the wife of one of the resident veterans, who won on a tie-break question.